You no longer need to register to submit or vote on loadouts, but there are still many benefits to registering. 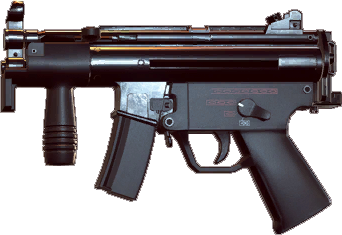 What is the best loadout for MP5K in Battlefield Hardline? Select 3 attachments. Maximum of one attachment per tab. You can submit your vote without registering by entering the CAPTCHA below. Game Loadouts is a portal for finding the best ways to outfit your weapons in your favorite video games. This website comes in handy when you need to complete challenges with various weapons and need to know the best attachment combination for that weapon. Submit bug reports or suggest new features for the site! Use the link below and then select "Submit New Idea" on the top left. Follow us on these social networks to keep up-to-date with the site!